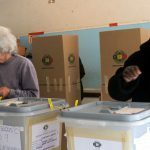 ZIMBABWE’S evolving political play, State-of-the-Nation, now moves to its fourth episode which derives some of its themes from last month’s violent countrywide protests which elicited a brutal army reaction leading to the death of a dozen. The play, entitled ‘Vortex’, will stage at Theatre in the Park, Harare Gardens on the 15th and 16th of this month. Directed by Peter Churu, ‘Vortex’ features renowned actor-producer, Daves Guzha, Tafadzwa Bob Mutumbwi, Patience Phiri and multi-award winning actress, Eunice Tava. “We have put together an exciting team to do justice to the important themes of today’s Zimbabwe. 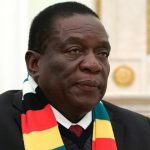 “Now more than ever before, Zimbabwe needs this vehicle as we endeavour to create the Zimbabwe that we want, the finest judicial and legal statutes will remain meaningless unless the citizenry are empowered to have ownership of their destiny,” he said. The play follows violent anti-government protests that rocked parts of the country last month leaving a trail of destruction, state inflicted death and injury. 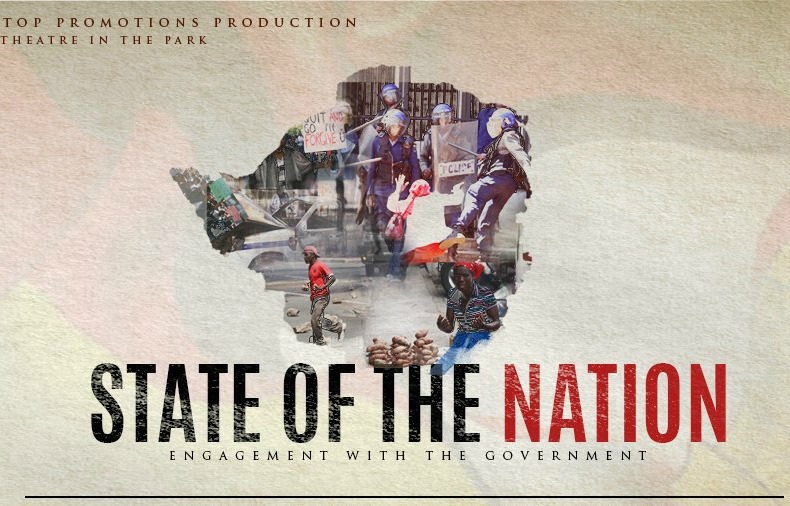 State of the Nation is a play that dramatises political events of the country with aims to educate citizens on a lot of issues on their country. 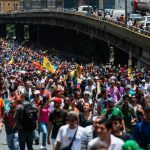 “Clearly, it is time for nation building conversation between the citizens and the state. “It’s time to reflect and build on frameworks which this society is anchored on,” producer, Guzha added. ‘The State of the Nation Vortex’ is an urgent call for Zimbabwe to dialogue with itself, Guzha said of political events in Zimbabwe.